In this blog post, I’ll tell you about my personal experience, which could possibly conform to a theory that is getting quite popular lately. This theory holds that our pathology is connected directly or indirectly to what happens in our digestive tract. 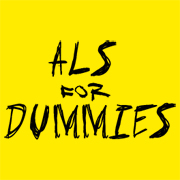 The microbiota, formerly called gut flora, is the focus of some studies on ALS. That is why I’m going to tell you about my own experience of the subject, for what it’s worth. 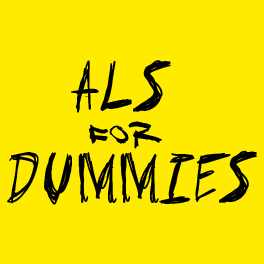 I’ve been diagnosed since 2015, 3 years ago, and my ALS had been progressing at a blistering pace: on Winter 2016/2017, it had already took away nearly everything from me. Here I was, in January 2017, in intensive care for two months. This is a colossal amount of time when you take into account the fact that, in this unit, we stand between life and death. I came out of there by the end of March 2017. Since then, the disease didn’t progress further. It left me quite messed up, but I kept some tonicity in my legs, abs, neck and face. For over a year and a half, my symptoms haven’t gotten worse and I even saw a couple slight improvements on some muscles, in particular on my arms, which didn’t move at all anymore and started moving slightly again. The medical profession’s quite flabbergasted by this resurgence of my strength. Naturally, I started enquiring about this phenomenon. I came to think that something happened during that stay in intensive care. While turning my train of thought to studies on microbiota, I came to the following hypothesis: a major change in my microbiota happened during that stay. But what? There was only one thing I could figure out. My digestive track was completely empty for about 10 days. Indeed, I was in a coma for about 10 days and was fed via a central intravenous catheter. I reckon this caused a major change in my microbiota. All of this is, of course, only a guess. Following this train of thought, I sent an email to my gastroenterologist surgeon, who monitored and performed surgery on me several times, so that he could explain, according to him, which modifications my microbiota may have underwent through those events. Basically, he told me that recent studies tend to demonstrate that some conditions such as ponderal overweight or neurological diseases could be linked to this microbiota. This line of research is still in its infancy, but microbiota grafting is looking to be quite promising, according to him again. All of this is, of course, still fully theoretical, clinical studies having yet to come to conclusive results. But, in my personal case, it looks like something happened and it’s possible that this extreme fasting had something to do with this. I must say as well that I took so many things during that stay that it is difficult to isolate their effects on the disease. The fact remains that I saw fit to share these thoughts with you. PS: I feel far better now, I even gained 55 pounds and have a morale of steel.